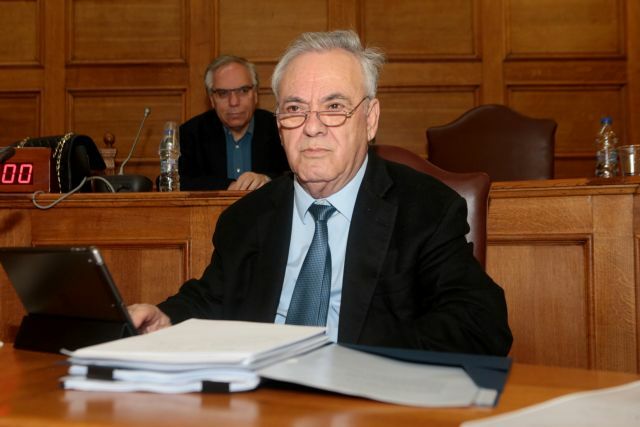 ‘This provision is necessary because there are businesses which are bedeviled not by forged invoices but by [unintentional] inaccuracies in invoices and consequently cannot participate in investment programmes,’ Deputy PM Yannis Dragasakis told Parliament. 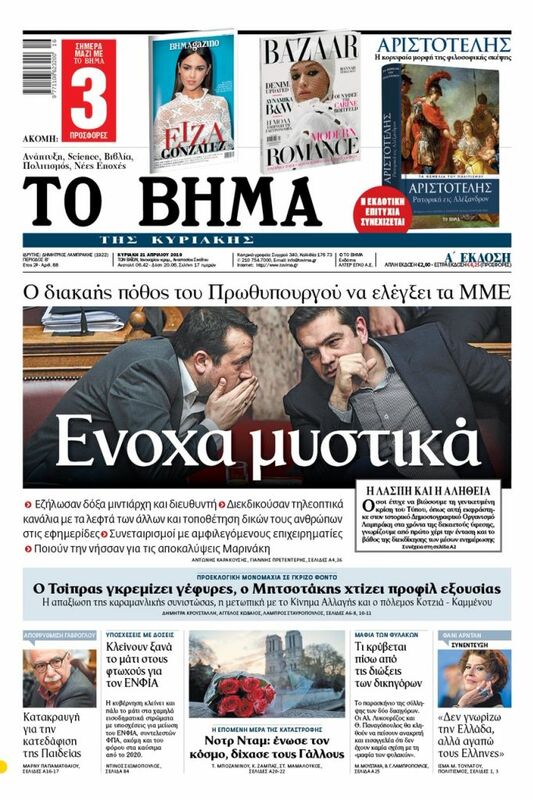 Straight on the heels of Finance Minister Euclid Tsakalotos’ admission of the (unlikely and unwelcome as he said) prospect of a SYRIZA defeat in this year’s general election, Deputy PM Yannis Dragasakis alluded to the prospect of a New Democracy victory while addressing opposition MPs in Parliament. Dragasakis (photo, L) was speaking during debate on a bill that aims to establish a Greek Development Bank, in which the government included an irrelevant provision that offers lenient treatment to businesses caught issuing forged or bogus invoices – fines would be slashed by two-thirds – but which submit an application before the final audit report is drafted. The aim of the provision – which was withdrawn after an opposition outcry – was to allow businesses which had had violated the law to be eligible for funding from investment programmes. “This provision is necessary because there are businesses which are bedeviled not by forged invoices but by [unintentional] inaccuracies in invoices and consequently cannot participate in investment programmes. If you insist I will withdraw it. You should know, however, that you will have to grapple with the problem in the future,” Dragasakis told the opposition. The government denied that the comment constitutes an acknowledgement of forthcoming defeat. In a recent interview Tsakalotos also alluded to a prospective SYRIZA defeat. “It is ridiculous for New Democracy to accuse us of leaving behind scorched earth, as we are leaving them with a restructured debt.” He had said.